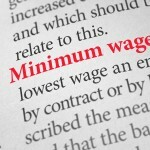 Did you know that the minimum wage just went up in Arizona? Now, all non-exempt employees must be paid $11.00 an hour. The latest increase was thanks to a gradual increase that began with the passage of Proposition 206 in 2016. The statutory increases are not finished. It will increase to $12.00 an hour in 2020 and after that will be adjusted for cost of living each year after. This is a great attempt by the state to remedy the problem that Arizonans were facing when it came to wages keeping up with the rise of cost of living. Many states la far behind. 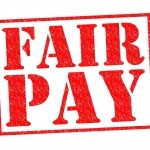 Unfortunately, employers are still finding ways to avoid paying a fair amount to employees. 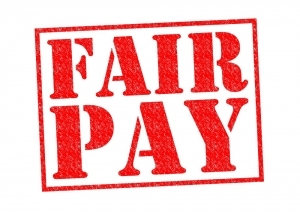 You may need an Arizona employment law attorney if you have been paid an unfair wage by your employer. 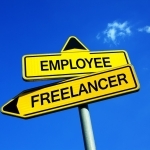 This can include not receiving proper overtime pay. Do not hesitate to secure an advocate who will fight for your rights. Overtime must be paid when employees work more than 40 hours in a work week. The overtime pay is equal to one and one-half times the employee’s regular rate of pay for all hours worked over 40 hours in the workweek. Weekends and holidays have nothing to do with overtime pay calculations as all workweeks are counted based on seven consecutive 24-hour periods. Usually, a worker on salary is exempt from overtime laws. However, if a person’s salary is less than $47,476 ($913 a week), they are not exempt from overtime pay. This number has recently been raised and was an attempt to raise the income of those who are considered managers but make low wages. Before, lower salaried employees could essentially be required to work an unlimited amount of hours while not receiving any extra compensation. If you are a server or other employee who claims tip credit, an employer can pay up to $3.00 less than minimum wage. However, they can only do this if you customarily receive tips and that the wages you earn are not less than the minimum wage. All businesses that have more than $500,000 in annual sales must follow FLSE regulations, though even smaller businesses will likely be required to comply. Any business that participated in interstate commerce is subject to federal overtime laws. Almost all businesses in Arizona participate in interstate commerce in some way, whether it is getting supplied from an out-of-state location or shipping goods out-of-state. Everyone deserves to be fairly compensated. 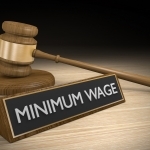 If you think you have received less than you should for the services you perform at work, you may need to seek assistance from an Arizona employment law attorney. 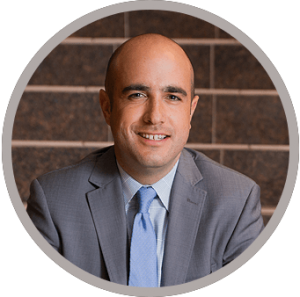 Whether you have been discriminated against, paid less than legally allowed, or not receive overtime pay, an attorney can help you secure the compensation you deserve. 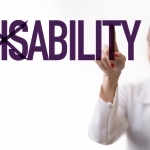 Find out whether Walmart is guilty of discrimination against people with disabilities.